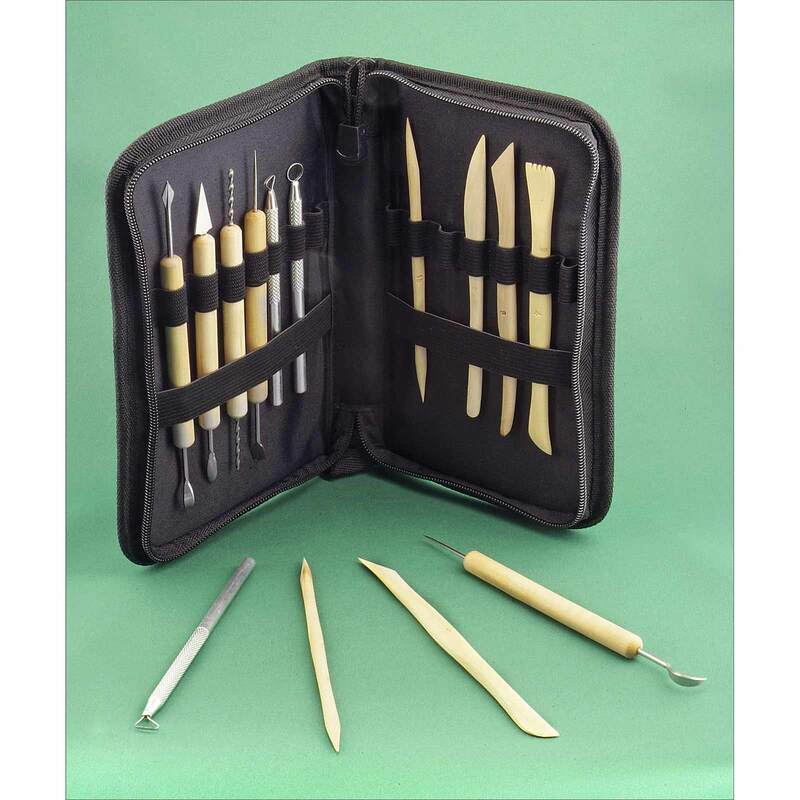 14-piece Deluxe Clay Tool Set for sculpting, smoothing, shaping and detailing. Includes 5 double-ended, steel-tipped tools (set in wood handles) for carving, drilling, cutting, decoration, detail and lace work; 3 ribbon tools (set in knurled aluminum handles) for fine sculpting, detailing and cutting; 6 double-ended wood modeling tools for slicing, shaping, cleaning and finishing. Tools range from approx. 5 to 7 inches long overall. Includes zippered canvas storage/carry case.